Make this delicious start to your day in just 10 minutes. 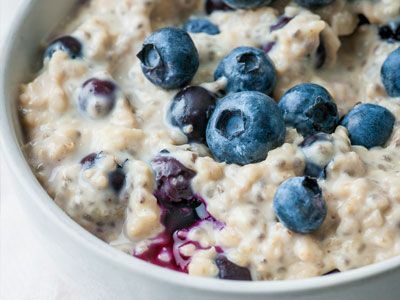 Tip the porridge oats and chia seeds into a large microwaveable dish. Pour over the Carnation Evaporated Milk and the hot water and stir. Place in the microwave on high for 3 minutes, then stir and return to the microwave for another 2 minutes. Sprinkle with the blueberries and serve.